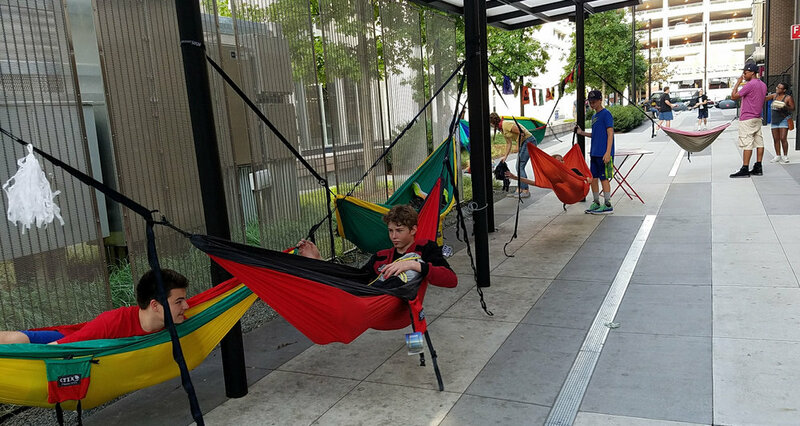 Hammocks are often thought of for backyards or camping trips, but they make great pop-up urban seating! 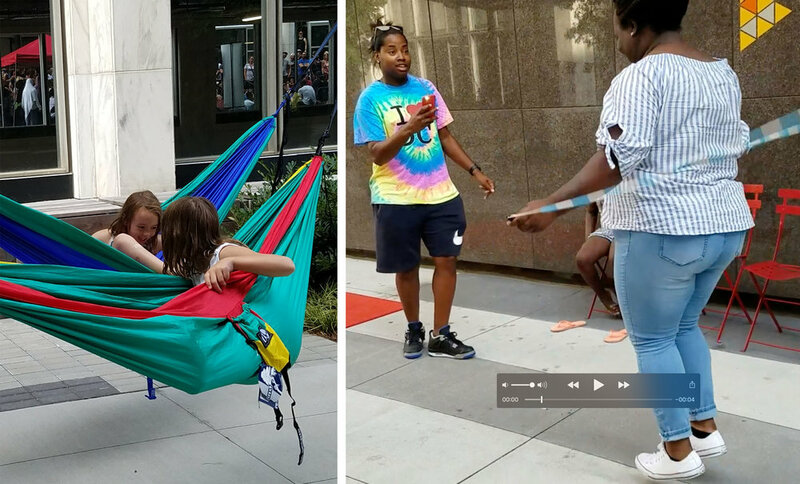 We have discovered people are looking for an invitation, for permission to stop, to hang out, …. or to try skipping rope again. 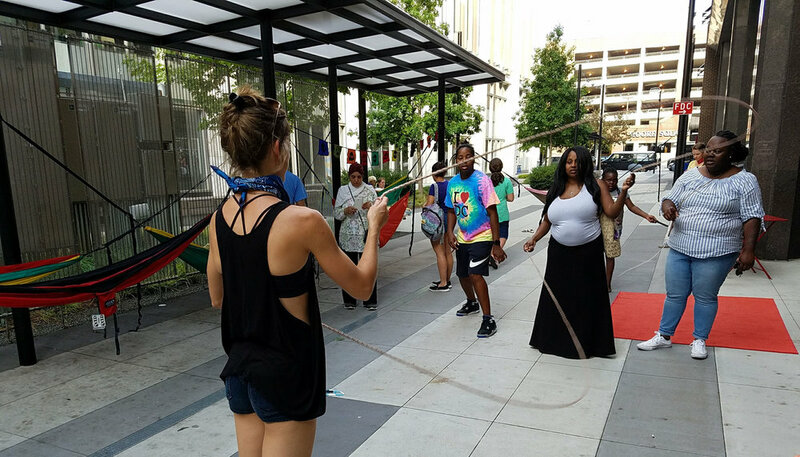 People of all ages love to skip rope, show their stuff, letting out that inner jump-roping child inside them. People want to be asked out to play! We are exploring ways for people to take ownership of our shared places, entertain each other, and reveal the life and diversity of our city from the bottom up. 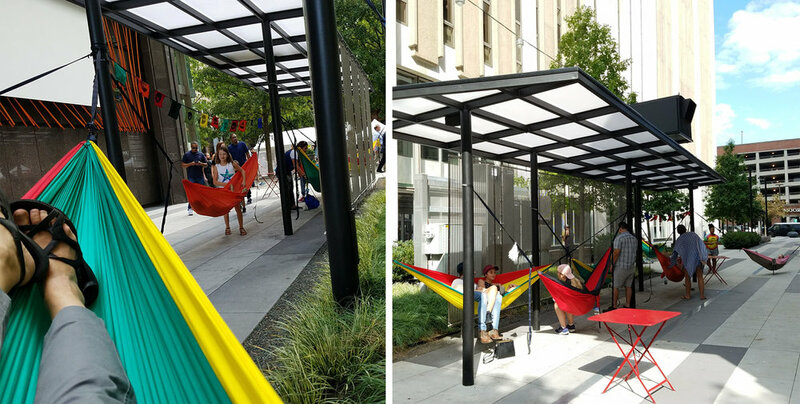 We can make routine use of street spaces easier and more welcoming. Let’s meet each other. Let’s make more places to “stop” in the “go” of the street!